In his best-selling book, The Myth of a Christian Nation, Dr. Gregory Boyd, a widely-respected theologian and pastor, argues that the church was established to serve the world with a Christ-like love that is diametrically opposed to the pursuit of political power. Christians are called to manifest a “kingdom of the cross” that impacts culture through self-sacrificial love, not the Romans 13 “kingdom of the sword” that impacts culture through coercive force. 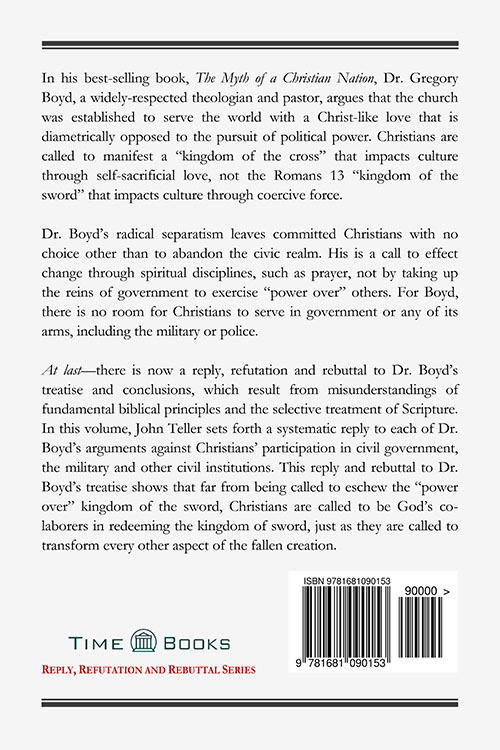 Dr. Boyd's radical separatism leaves committed Christians with no choice other than to abandon the civic realm. His is a call to effect change through spiritual disciplines, such as prayer, not by taking up the reins of government to exercise “power over” others. For Boyd, there is no room for Christians to serve in government or any of its arms, including the military or police. At last—there is now a reply, refutation and rebuttal to Dr. Boyd’s treatise and conclusions, which result from misunderstandings of fundamental biblical principles and the selective treatment of Scripture. 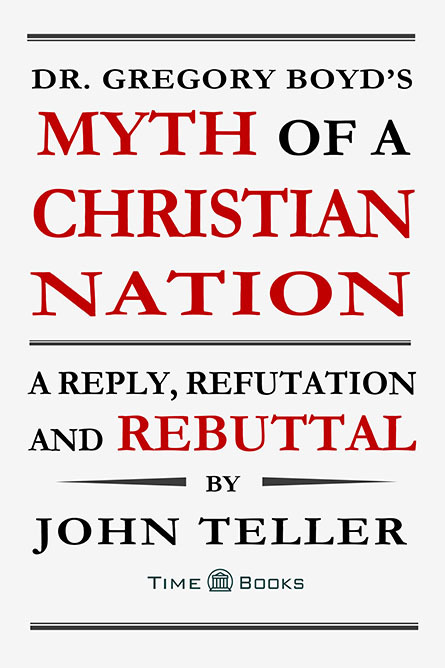 In this volume, John Teller sets forth a systematic reply to each of Dr. Boyd’s arguments against Christians’ participation in civil government, the military and other civil institutions. 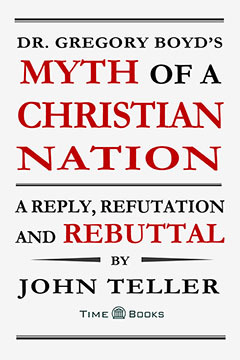 This reply and rebuttal to Dr. Boyd’s treatise shows that far from being called to eschew the “power over” kingdom of the sword, Christians are called to be God’s co-laborers in redeeming the kingdom of sword, just as they are called to transform every other aspect of the fallen creation.